Adverbs of manner express how the action of a verb occurs. In English, the vast majority of adverbs of manner end in -ly, whereas in French, they mostly end in –ment. 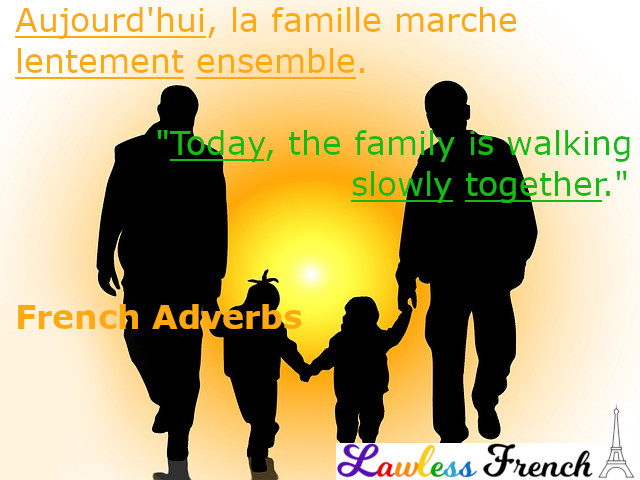 In French (and English), these adverbs are created from adjectives, as follows. * Except –nt, see 3, below. Some adverbs follow the above rules with an additional requirement: the e in front of –ment takes on an acute accent. 3) Adjective ends in –ant or –ent**: replace this ending with –amment or –emment. ** These are usually present participles.